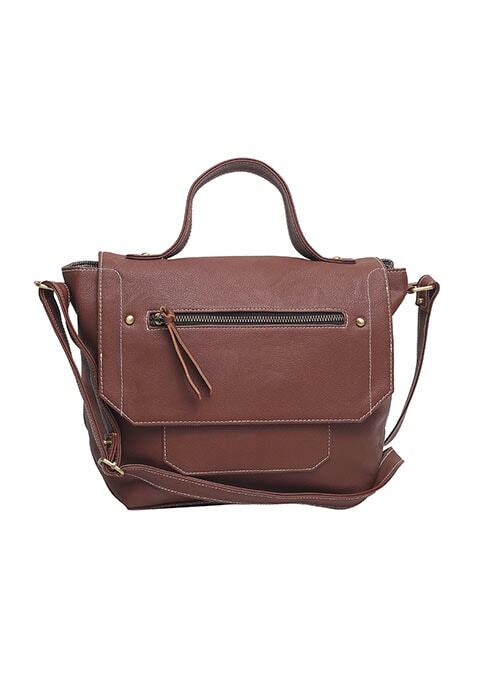 Get with the awesome new shape on the bags block - the trapeze, with this bril new tan satchel. Features a front pocket with stitch detailing and front flap closure. Work It - Looks amazing with white skinny jeans and a black printed shirt.